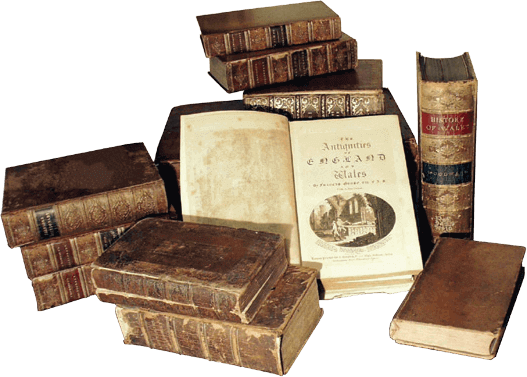 In the early days of digital interlibrary loan and digital document delivery, the available software was simple and image quality expectations of requestors were low. Times have changed. The demand for faster workflow delivery and perfect, printer-ready images has made the current software environment complex, creating significant challenges in training new employees. BSCAN ILL simplifies existing processes and produces perfect, printer-ready images. BSCAN ILL starts by eliminating the need to manually enter requestor information. 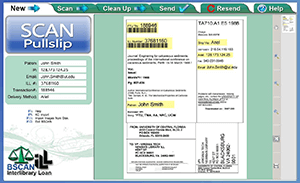 BSCAN ILL automatically reads the information that is required by interlibrary loan document delivery software from scanned pull slips, not only saving time but also eliminating human error. 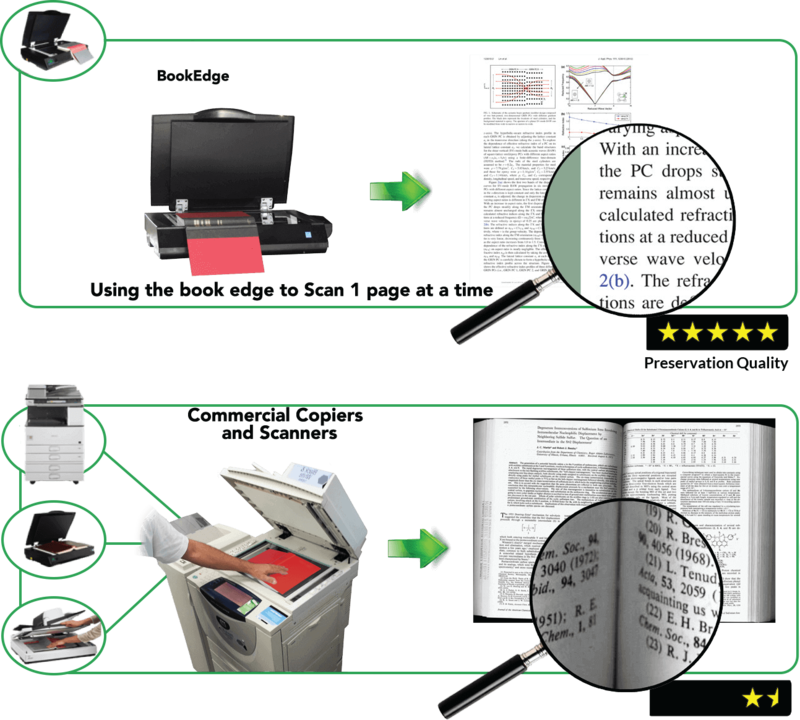 Articles are scanned using one of a family of high speed face-up scanners: Click Mini, Click, and Bookeye 4 V3, V2 & V1. 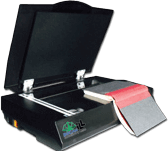 By eliminating the constant book flipping required by flatbed scanners, these face-up scanners are three to five times faster than the fastest face-down scanners, and they do not cause book spine damage. 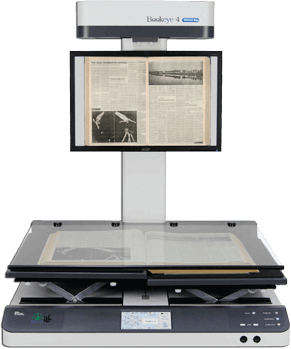 For low volume ILL operations, BSCAN ILL also runs BookEdge flatbed scanners, employing their book edge feature and a faster mode that scans two pages at a time. Once articles are scanned, BSCAN ILL's powerful image treatment capabilities automatically eliminate skew and remove unwanted black borders, fan and gutter. Finally, BSCAN ILL automatically sends requests through Tipasa, ILLiad/Odyssey, Ariel, RAPID, Clio, Article Exchange, FTP, and e-mail and can notify ILLiad/Odyssey in each case, all without any need for further human intervention. Resending articles is also a snap. ...add Digital Document Delivery services for as little as $2,000 per year, would you? ...cut your ILL scanning time in half for less than $2,000 per year, and in half again for $500 more, would you? ...simplify your digitization process, reduce worker training time, produce clean, straight print-ready images every time for $2,000 per year, would you? What if you could do all this plus eliminate keying the requestor info, automatically deliver articles, resend requests days later if a delivery failure occurs, and operate seamlessly with all other ILL software and systems (e.g. Tipasa, Article Exchange, ILLiad/Odyssey, Clio, Ariel, FTP & email)? A fundamental tenet that has always bound the academic research community together is open sharing of newfound knowledge. Today, this open sharing is going on at a feverish pace and digital interlibrary loan services are an essential vehicle. Scholars from all fields are becoming increasingly dependent on their ability to acquire journal articles in just one day. In the early 1990s, the pioneers of interlibrary loan digitization had no choice but to adapt commercial scanning equipment to meet their needs. Ariel was the only available document delivery software and there were no scanners made specifically for scanning books, journals and maps. Over time, that changed. Planetary scanners became available in the late 1990s. 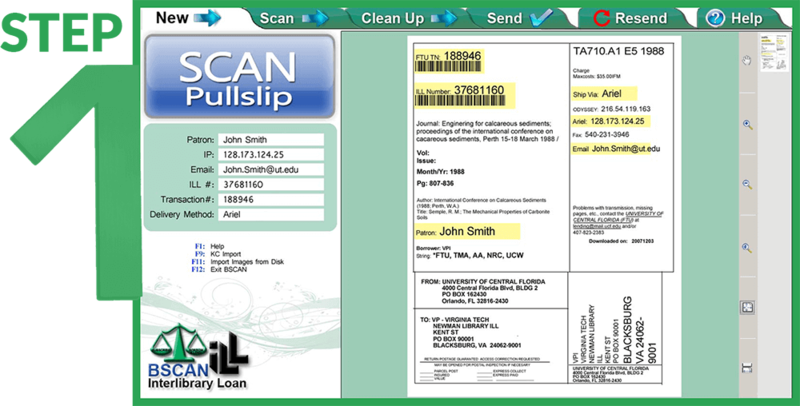 The first release of BSCAN ILL automatically read (using OCR) the requestor information from pull slips without manual keying, supported rapid scanning and image cleanup, and automatically posted to Ariel with the press of a single button. Since then, ILLiad, Odyssey, Ariel, RAPID, Clio and Article Exchange have been integrated into BSCAN ILL with the same hands-off automation. BSCAN ILL has a host of valuable features, many of which are not available with any other system. All of the systems that DLSG bundles with BSCAN ILL are quite fast, but our face up scanners are the fastest. By eliminating the need to flip the volume repeatedly, our face-up scanners are up to 5 times faster than the fastest face-down scanners. Digitization for ILL and digital document de- livery are production processes. It is impor- tant that they be backed by a reliable vendor team, and Image Access has an unmatched service and support record. Bookeyes follow the natural curve of the book when they scan. Good lighting is essential for good scanning, and Bookeye 4 scanners employ two white LED light bars that sweep across the material. Bookeye 4 with optional display monitor on neck. Click captures the left and right pages with two separate cameras positioned at ideal angles. An array of 420 individually aimed white LED lights produce bright, evenly distrib- uted illumination from above and behind the scan bed, thus avoiding reflection. 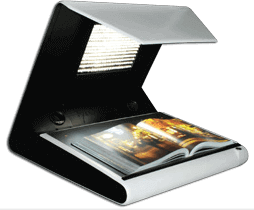 The BookEdge is a flatbed scanner with a specialized feature that easily captures close into the bookfold without damaging the spine. BSCAN ILL automatically captures data directly from pull slips - less keying means fewer keying errors. 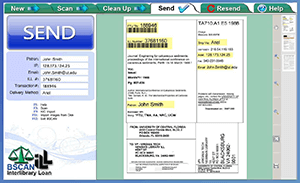 BSCAN ILL reads the requestor's name, the delivery method, and IP address from the pull slip and uses this information to automatically route the electronic document to the appropriate document delivery software. After the article is sent, BSCAN ILL updates your document delivery software automatically. No extra keystrokes are necessary. Scan two pages at a time, using the keyboard to delete unwanted pages. An optional foot pedal is available for even faster scanning. 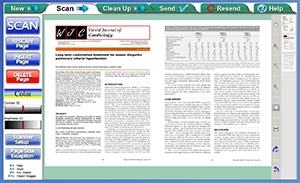 Once scanned, the article is passed to the automatic image treatment stage. 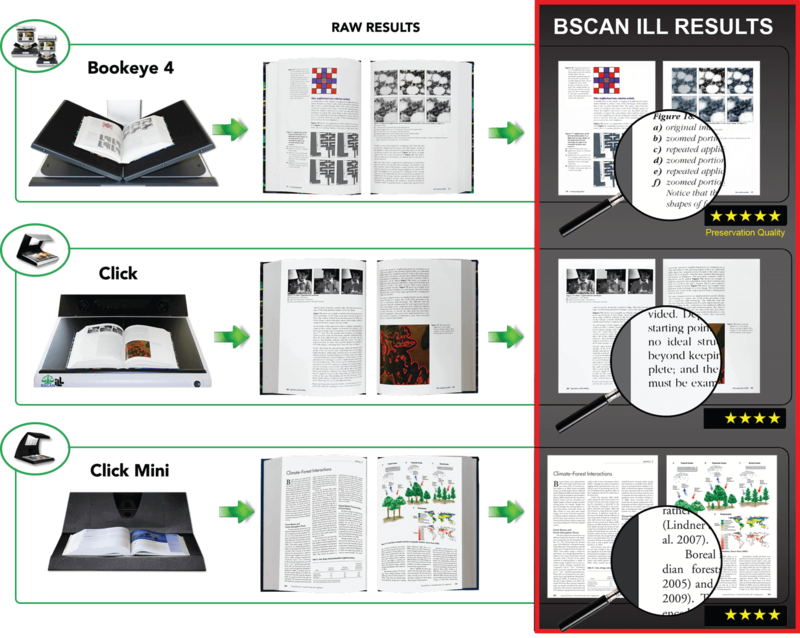 BSCAN ILL automatically locates the content on each page, clips the content, creates a preset margin for consistency, and deskews and corrects curvature when necessary. When completed, the treated article images are passed on to the manual review stage. 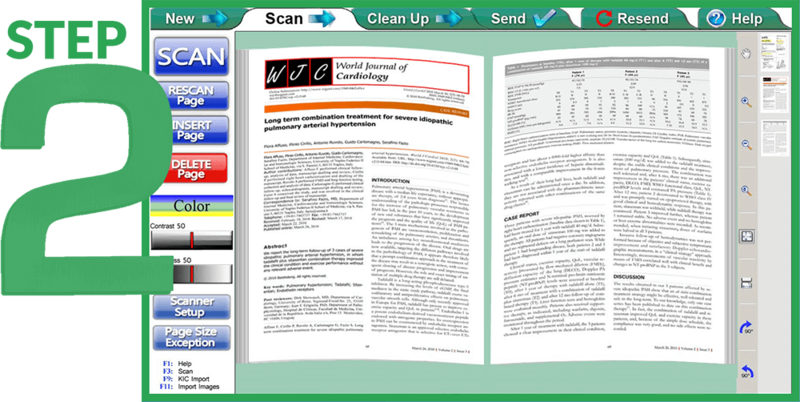 This stage can be run after each article is scanned, or for greater efficiency, several articles can be scanned in sequence, automatically treated, queued up in this stage and reviewed at one time. Each article is automatically sent via the delivery method specified. If an ILL department is using ILLiad and Odyssey to track completion and perform billing-related operations, BSCAN ILL can be config- ured to notify Odyssey that the article was sent even if it wasn't sent by Odyssey. BSCAN ILL is capable of storing articles for a configurable number of days after they're sent. If an article must be resent, it can be opened and sent right away or be edited first, for example by adding or deleting pages. ▲ Face up scanners minimize book jockeying. Fast face-up scanners like those offered by DLSG with BSCAN ILL are 3-5 times faster than the fastest face-down scanners and photocopiers. 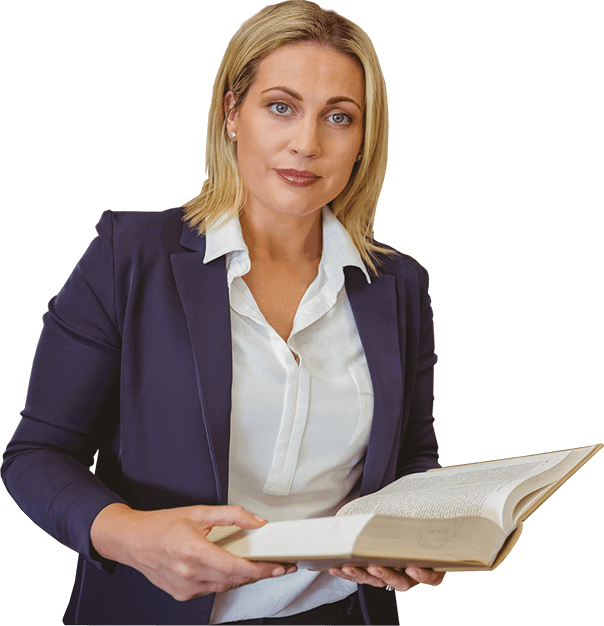 And unlike face-down scanners and copiers, DLSG scanners are designed to capture deep into the book fold, flatten book curve, split images into two pages and remove fan and gutter. 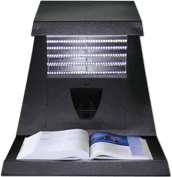 ◄ BookEdge is uniquely designed for scanning books and is the fastest face-down scanner in its price range. When used in book mode (one page at a time), this scanner flattens the page and captures deep into the fold of tightly bound journals. With BSCAN ILL, the BookEdge can also be used to scan 2 pages at a time, which is substantially faster than book mode. BSCAN ILL splits & flattens the pages, and eliminates fan, gutter & skew. 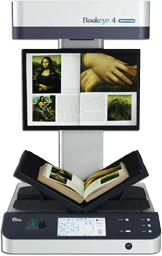 The exceptional image quality produced by Bookeye and WideTEK scanners affords opportunities for resource sharing with Archivists as well as use for projects and creating digital course materials. Reduce your cost per article scanned by sharing equipment costs and helping other departments to switch to digital format and get color content without the additional cost of color copiers or color microfilming. 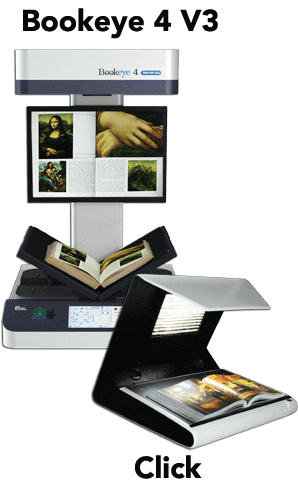 Use some digitization projects funding to purchase the Bookeye 4 V1, V2 or V3 and dramatically reduce ILL's share of the cost of state-of-the-art scanning equipment. A complementary schedule is usually easy to agree upon. Note that while the Bookeye 4 V2's standard image quality (high quality 400dpi) meets and exceeds digitization standards, a 600dpi option can be purchased later, if desired. BSCAN ILL automatically locates the content and sets consistent margins, removes fan, gutter and black edges - and even deskews the image. 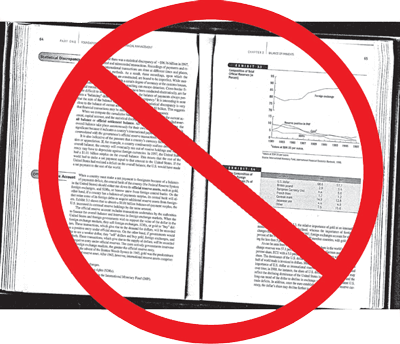 Avoid the poor results that photocopiers & microfilming too often produce. To capture moving objects, digital cameras must use array CCDs, which capture all parts of the object at the same instant. Affordable digital cameras have 50 megapixels or less. And those pixels must be further divided into red, green and blue sub-pixels, which can reduce the clarity of color images by 40%. 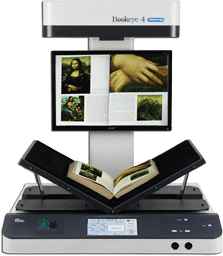 Since books don't move while being scanned, Bookeyes employ linear CCD technology to produce ultra-clear images with astounding 140 megapixels. Each pixel in a linear CCD includes full red, green and blue sub-pixels. Scanners use linear CCDs. The sweep- ing action of scanners allow them to capture the precise amount of red, blue and green for each pixel. Bookeye 4 scanners utilize a unique state-of-the-art rotating mirror system that dramatically reduces clarity loss at the corners of the image due to the limitations of lens systems. Bookeyes can also scan in V-mode or flat-mode, and they scan from left to right, allowing them to follow the curves of the book. "We depend on BSCAN ILL to speed up our processing, and we consider it a necessity for ILL operation." "Our ILL Department is practically based on our BSCAN ILL with Bookeye scanner. We love this product!" "We love BSCAN ILL and how it automatically sends out articles to users." "I'm very impressed with BSCAN ILL. We have increased our productivity, and what took four hours in the past now takes just 1 hour, and we're very happy about that!" 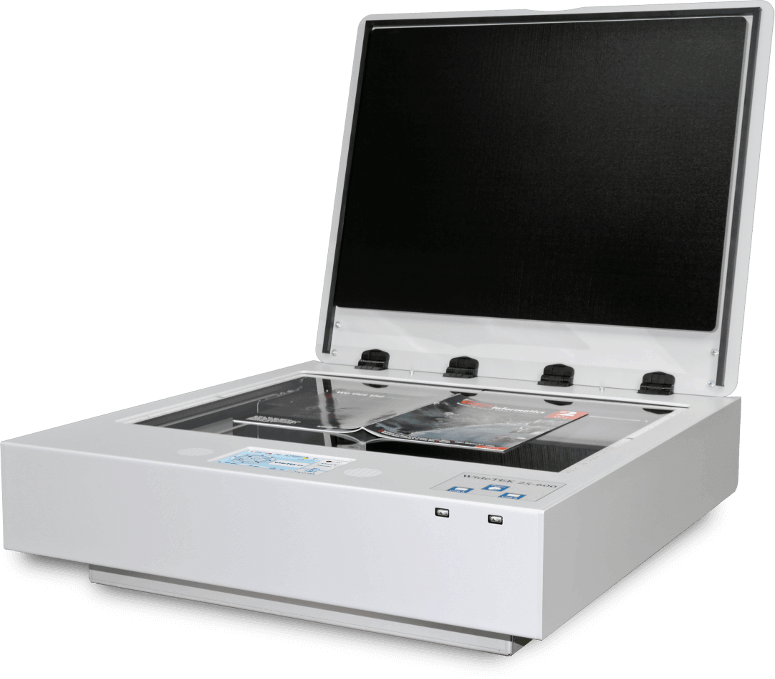 The new WideTEK 25 wide format flatbed scanner is the fully re-engineered successor to the WideTEK A2. Doubling the optical resolution, while offering the higher scanning speed, guarantees an excellent image output. The WideTEK 25 can scan just about anything: from business cards to diagrams in A2 format, books, newspapers, maps, bound documents and more. The scanner needs only three seconds to scan the largest format. Nearly all functions can be executed directly at the scanner via the integrated touch screen. Using the touch screen display, up to 30 different (password protected) jobs can be defined and stored. This allows operators to create and store templates and choose any predefined location on one of the network drives as a target for the scanned images. The integrated walk-up scanning software makes the scanner a truly shared device. It allows the user to scan and send images to a specific destination such as a network printer, any directory in the network, or to a USB stick; without having to work with a client PC. Simply walk up, scan and store or send the image, all through the use of the touch screen. 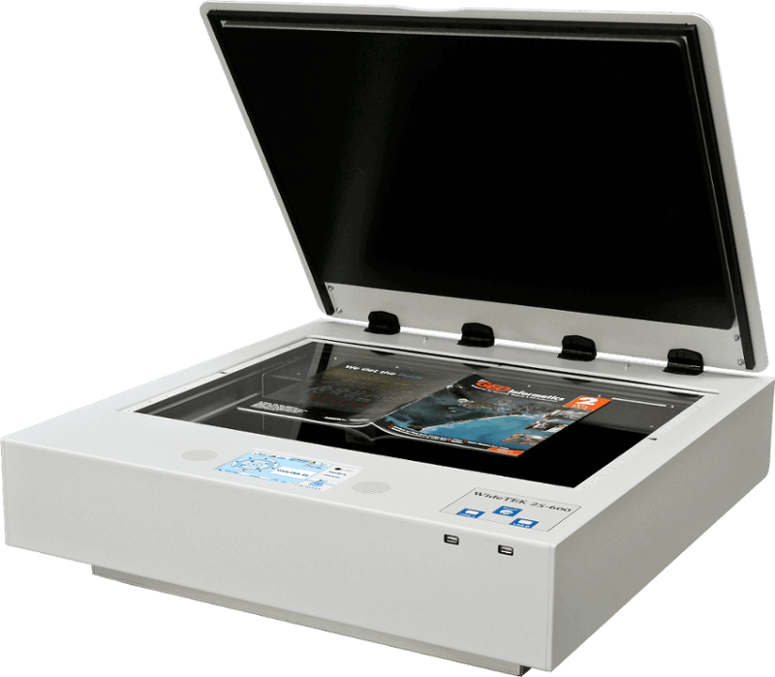 A further innovative feature of the WideTEK 25: All optical components are encapsulated in a hermetically sealed camera box, making it not only dust-free but also very low maintenance. Cleaning the mirrors and the mechanics is no longer required. State of the art illumination using bright white LEDs guarantees long lifetime (50,000 hour lifetime) and excellent scan results at a very low noise level in spite of its high speed. The WideTEK 25 guarantees results at production scanning speeds for high throughput while delivering images in brilliant colors. Works Well With Others: Works Well With Others: Create JPEG, PDF (both searchable and image-only), or TIFF file formats and email or save to USB or network (PC, server, FTP). 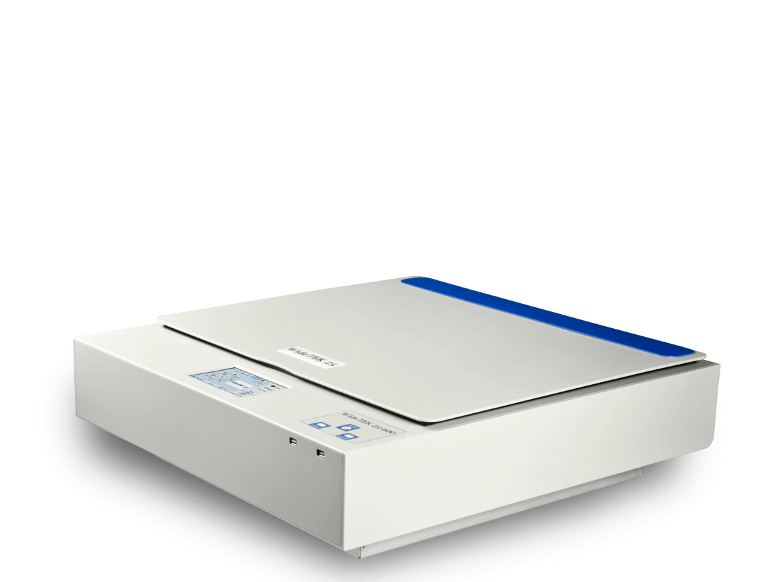 Easy to Use: Single button scanning, optional foot pedal, built in touch display. Great Durability: WideTEK's metal casing resists scratches and dents, and its hermetically sealed optical components translate to less maintenance. We've even designed the case so that it works only with the WideTEK's tools that ship with each unit. 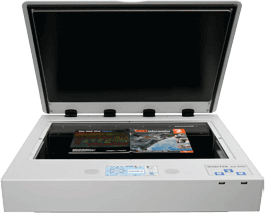 High Duty Cycle: WideTEK scanners are designed for high-volume, professional use. Their duty cycles far exceed that of desktop scanners. Minimal Space: WideTEK's footprint isn't much larger than the maximum paper width it scans. With a footprint of only 40.4 x 30.8 inches, it takes surprisingly little space for full- scale operation. State of the Art Illumination: State of the Art Illumination: WideTEK's bright white LED illumination lasts significantly longer than other lighting systems. LED lights also consume less power and produce far less heat. Easy Setup: WideTEK scanners connect over your network using standard IP (Internet Protocol) addresses and can be operated by a standard browser without drivers or add-on cards. No Warm Up Time: WideTEK scanners are ready to scan anytime you are. Other scanners can require several minutes to warm up before use. Room to Grow: Firmware upgrades are available online and are directly downloadable to the WideTEK using a standard browser. 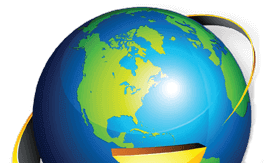 Remote Scanner Management: Remote Scanner Management: You're in full control from any browser. Change any and all scanner settings remotely or using WideTEK's built-in touch screen. User Statistics Monitoring: WideTEK lets you manage and monitor the usage, statistics and settings of each scanner you own. The reports are automatically uploaded and available online from your web browser.